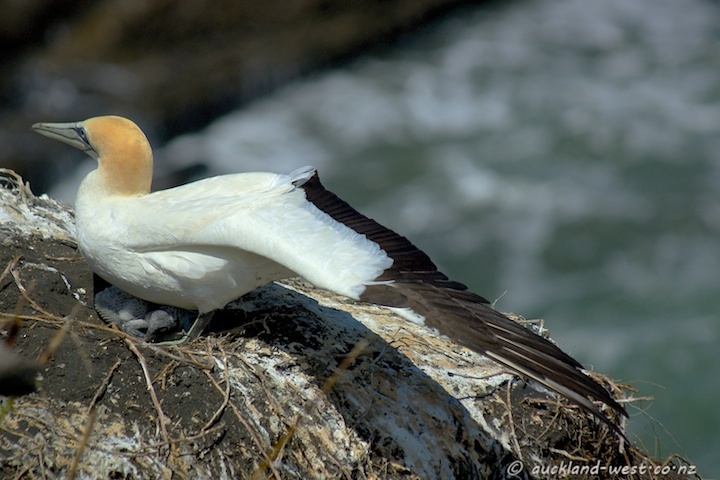 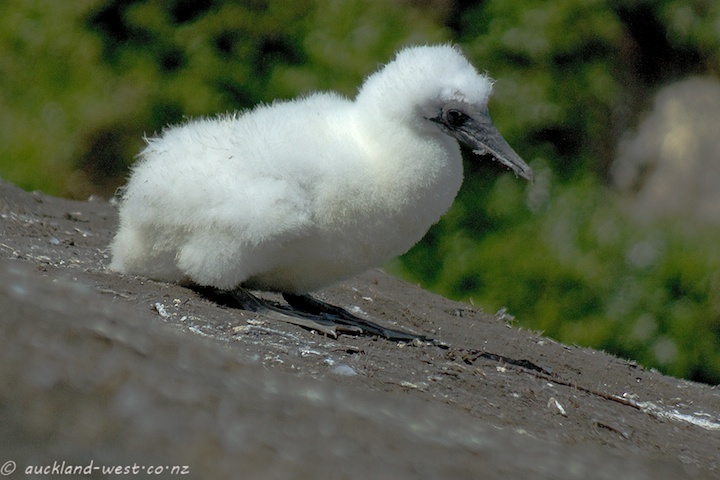 There are plenty of gannet chicks growing up at Muriwai’s gannet colony. 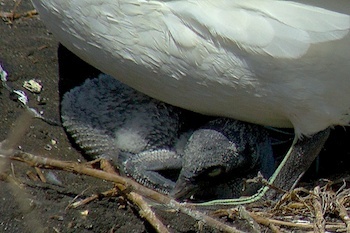 Lots of them are in their fluffy white coat as above, some are growing their wing feathers (wings getting heavy as a consequence, and drooping to the ground). 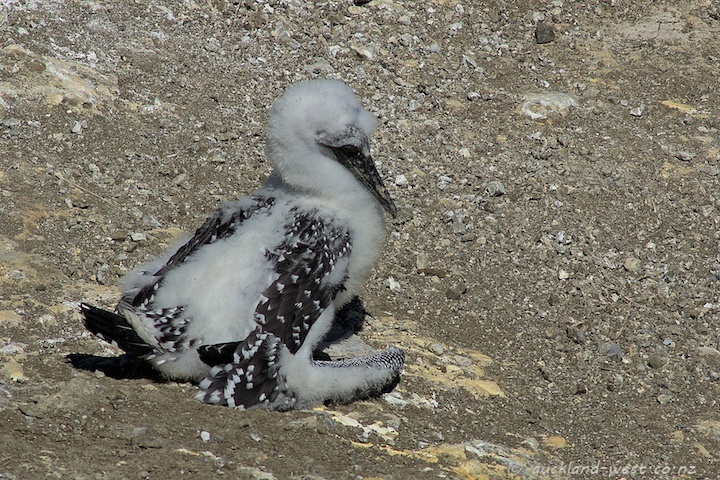 A few of the birds have grown out of the fluffy stage altogether, while there are still some teeny ones, hatched no more than three weeks ago.